SLASH with COHEED AND CAMBRIA and TAKING DAWN – Sidewave announced! Few artists in rock history can carry off the single moniker, and carry it with gravitas. SLASH is one of that rare breed. 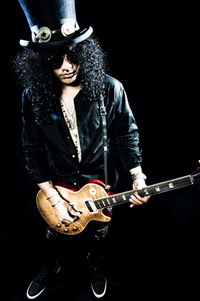 Since emerging with Guns N’ Roses, SLASH has been one of the world’s most sought after guitarists. Michael Jackson, Ray Charles, Stevie Wonder, Quentin Tarantino and so many other fellow icons have sought his services in order to make the good sound great. Critics and fans alike still debate the greatest rock riff of all time with “Sweet Child O’ Mine” consistently taking top honors. Time Magazine placed SLASH second only to Jimi Hendrix amongst the greatest guitarists of all time. READ PART 1 OF THIS INTERVIEW HERE. – READ PART 2 OF THIS INTERVIEW HERE. LMM – I also wanted to talk about the different producers on your last two albums and their contribution to the finished sound on both releases. What was the best thing about working with Adam Dutkiewicz on Horizons? LMM – Yeah. He’s had his fair share of musical experience. How did it first come about that he worked on the album with you? WM – He worked on the first two albums we did which was absolutely wonderful. 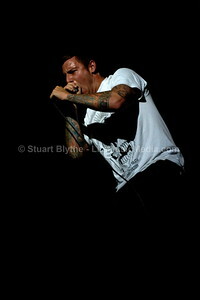 He came along at a time when we were still a young band and had no idea what to do and came up with the idea of either recording in Australia that would be a very national sounding recording or do something overseas that would really stand out in the international scene.